There are 140 posts in this topic. You are on page 3 of 3. 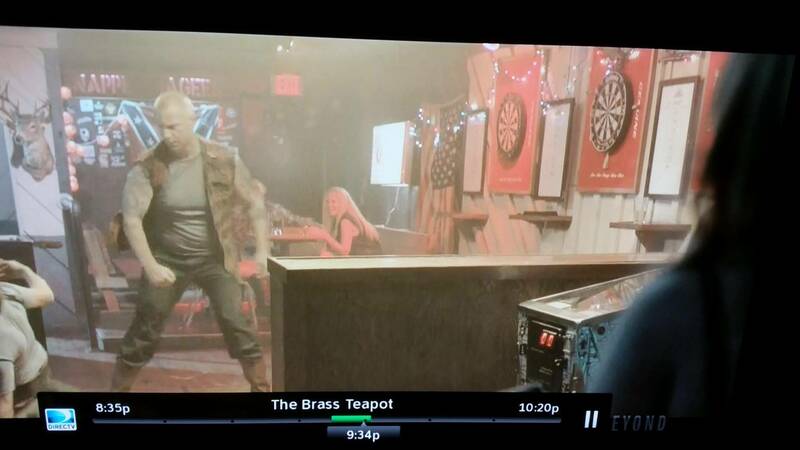 Was just flipping through the channels and stopped on a movie called the brass teapot. 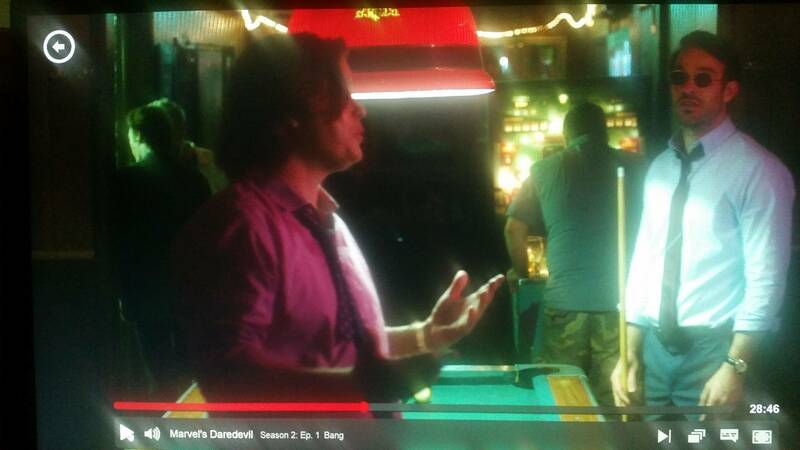 Caught a glimpse of SS during a bar scene. Can't seem to identify exactly what it is... If you want to see it, it's at 50 minutes in. It's a Gottlieb Fun Land / Fun Fair. 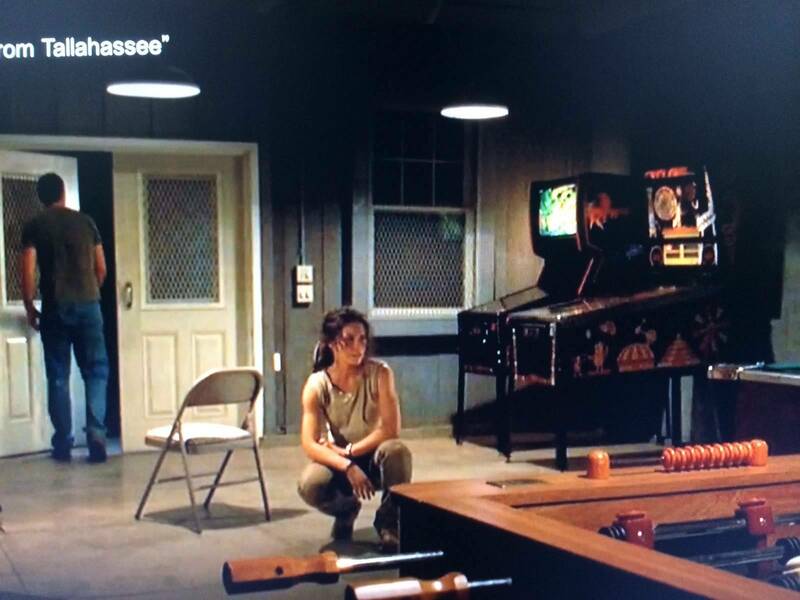 Two pinballs spotted in The Walking Dead. One was World Poker Tour and the other was NBA Fastbreak. 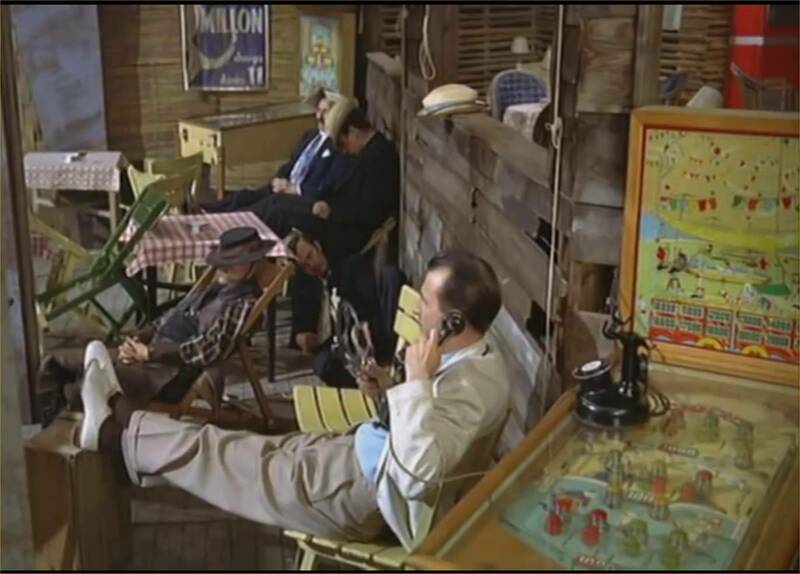 Watching Pee-Wee's Big Adventure tonight on Netflix and saw Blackout for half a second in the background at mintue 102. Watched swearnet the movie and Mike Smith had one in his place. Couldn't make out what machine though. 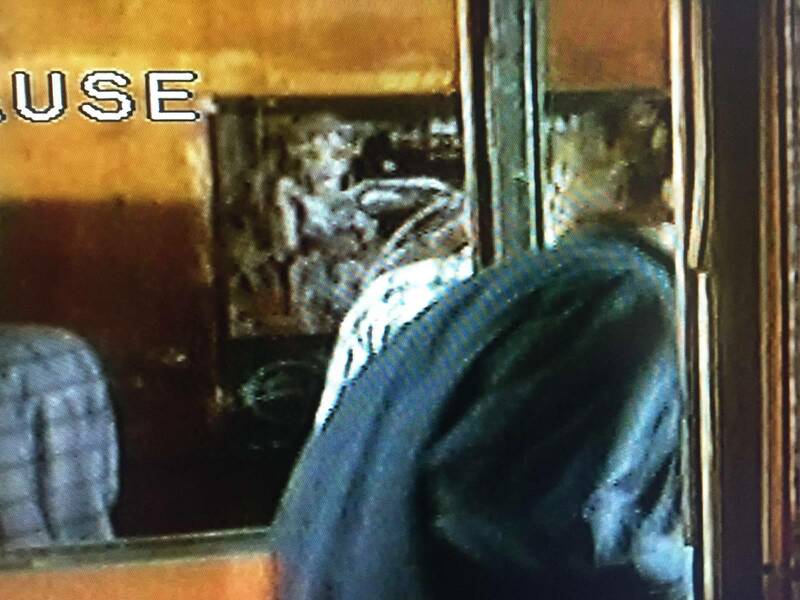 BOP spotted in 1996 Only Fools and Horses Special "Modern Man" at Sid's Cafe as Rodders is walking out. 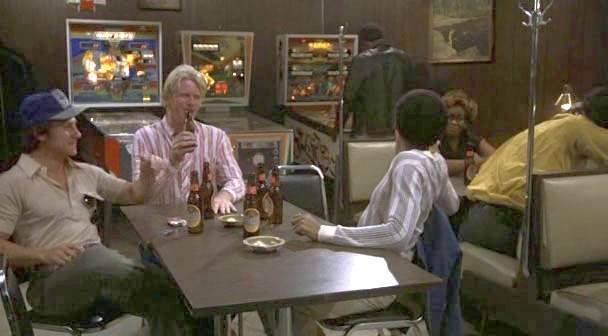 Not sure if it was mentioned yet, but an actor in The Wire's season one was a pinhead and one scene shows him playing WW. Rookie of the year with Daniel Stern had Rollergames. Thanks for the identification. That's it! Judge Dredd and one other one in Major League II. I know OP said movies but I had to at least mention this. Just watched a Simpsons episode. The very wealthy Mr Byrnes had Smithers exercising for himself on a peddle bike. While Smithers was working up a sweat for his boss, he was playing pinball in the adjacent room. 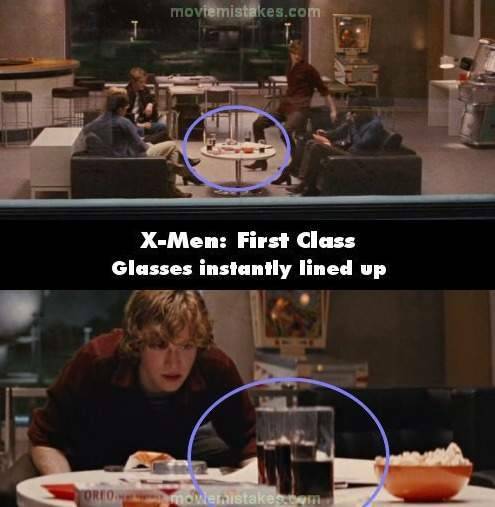 Lol, was a good chuckle!! Did anyone say lost? There is a RFM and a Cyclone in a rec room on the island. Like some of you have said, this is not in the movies but on the Dan Patrick show he has Dale Jr. in the back ground. 1933, probably the earliest movie with a Pin in it. Yeah, but I found/stole/ripped that one first. The film is out of print, but worth a watch. I spent considerable time trying to find out what game it is, but there were literally hundreds of "one-off" and "jump on the trend" pinball manufacturers that disappeared overnight in the early 30's, so I still don't know. JAWS 2 has quite a few but don't know how to do a screen capture? Saw a show called Falling Skies a few weeks ago where the bad guys chained the main character To a Seawitch. Pretty silly to watch as when left alone he didn't even try to escape. 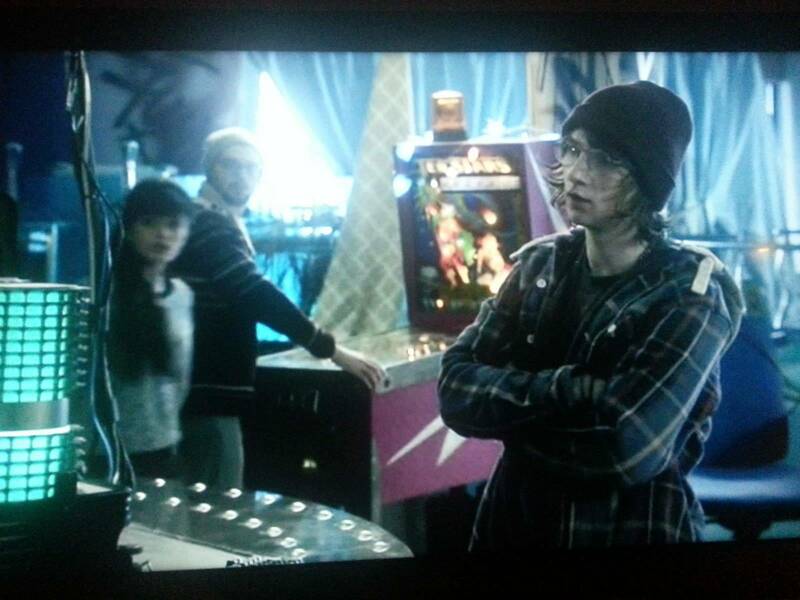 I'm pretty sure if someone chained me to a pinball machine I could free myself. Guns n Roses was in one with incorrect sounds. Someone help me out, for the life of me I can't remember the name of the movie. So you could play it? War of the Worlds. There is a pin in the house that the Tom Cruise character lives in. It is in the scene were the kids first enter the house and pass by it while his x looks at the small block Ford in the kitchen. Black, red side cabinet art work. I've seen it before somewhere. Big daddy had a pin in the apartment . Jaws 2 was on tv tonight and I saw a pin but could not tell what it was. Does anyone know? Behind Enemy Lines, there was a T2 in the mall where the resistance fighters setup base operations. Daredevil season 2 (and maybe season 1 too). Not a film, but a pin appearance nonetheless. The machine is usually out of focus, but it is an EM, maybe a Williams? 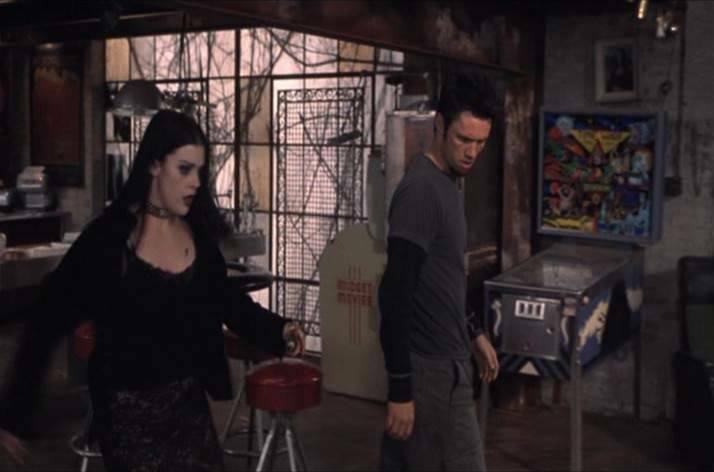 It floats around in the background quite a bit throughout the series when the show's stars are at "Josie's". 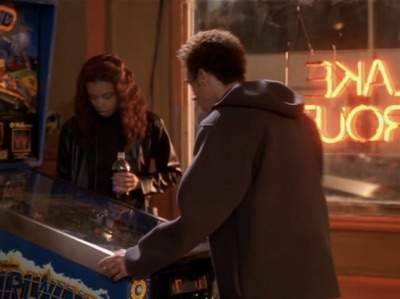 It looks like a hockey-themed game, similar to "Olympic Hockey" https://pinside.com/pinball/archive/olympic-hockey but not quite a match. 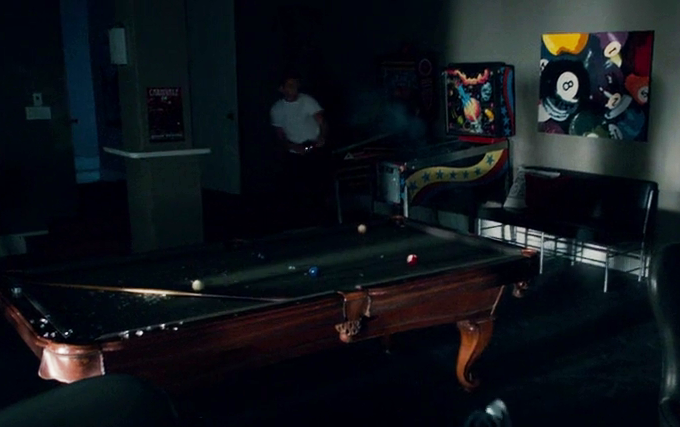 Paranormal activity, ghost dimension look like a METEOR pinball. 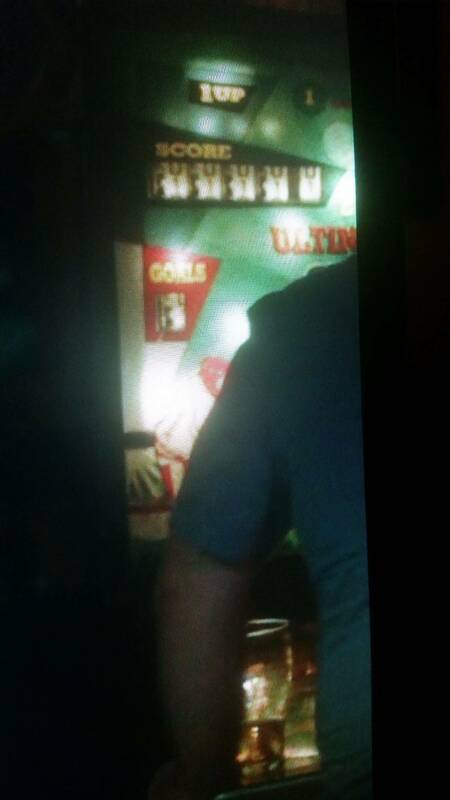 Not the movies, but yesterday when playing Fallout 4, I found a location with a few pinball machines. My wife was sitting there with me and we both thought it was pretty cool. I tried looting for parts and boards...but no luck. Daredevil season 2 (and maybe season 1 too). It's in Season 1 for sure. Just finished it, and haven't started Season 2 yet. I was trying to figure out what machine that was in the bar. But also in like Episode 3 I think, of season 1, they use a Mustang to hide a pistol under. They show quite a bit of it. But has EM sounds. lol. Which really made me wish Stern would add an option to turn on EM sounds, or "Novelty" mode. Interesting. Never came across that yet in Fallout 4. But they put a ton into that game, and I've been taking a long break from it. 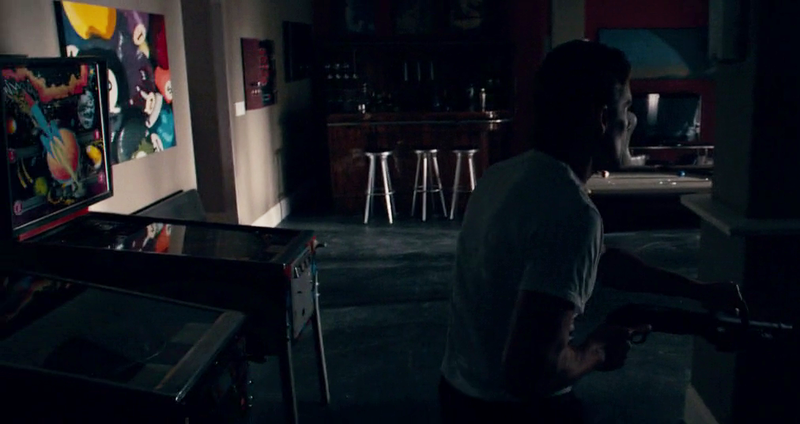 There's a machine off to the side in I Am Wrath. 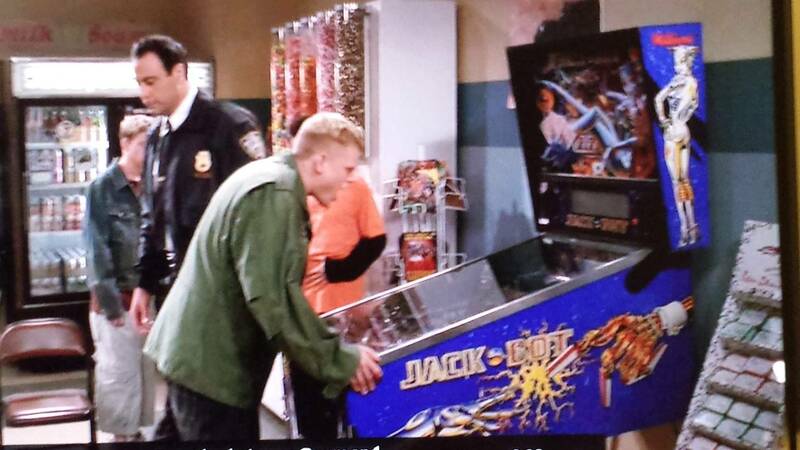 The backglass is covered in the scene, and while the cabinet art is clear I am not sure what pinball it is. EDIT: It's Medusa (Bally 1981).